I am a Guest Designer at Cut@Home I made a masculine card that can be easily adapted to many occasions using Sizzix & Heartfelt Creations. I use a stencil to add paint and then emboss the sentiment. 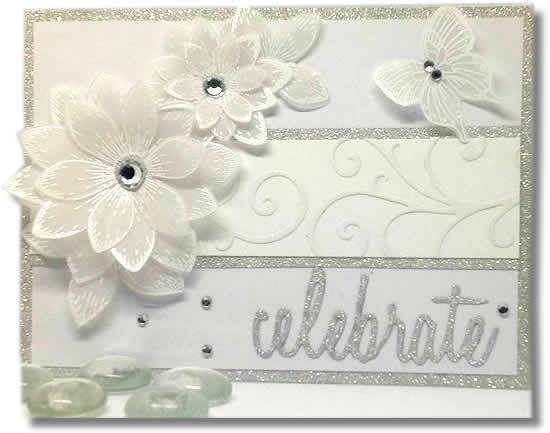 I am a Guest Designer at Cut@Home I made a white on white card using vellum & 3 embossing techniques. 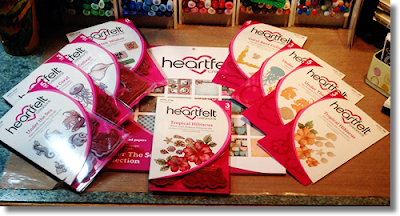 The products featured are from Sizzix, Spellbinders & Heartfelt Creations. I will also show the sandwich for using the Sizzix Precision Base Plate and the Spellbinders M-Bossibilities folders for the Vagabond machine. 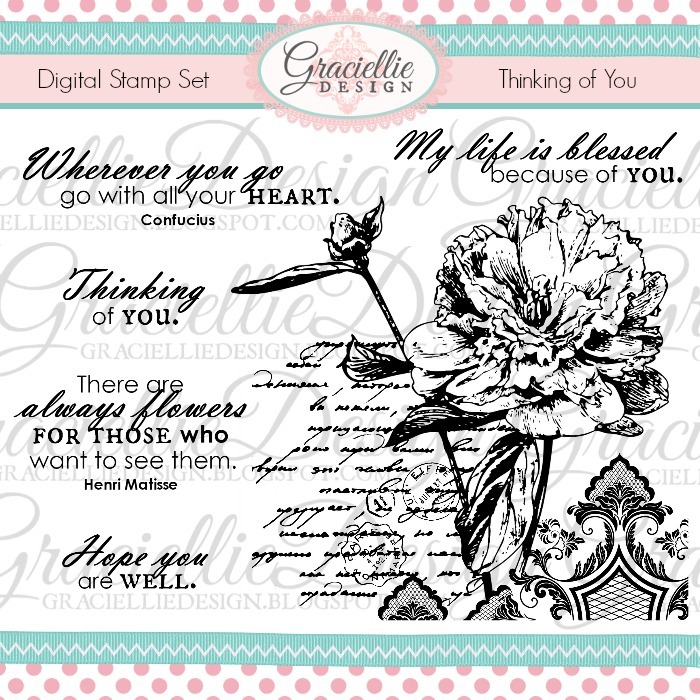 “It is time for a new blog hop featuring Graciellie Design’s Digital Stamps. 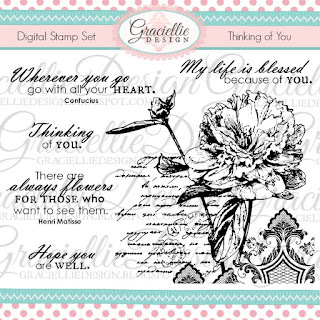 Gracie’s stamps are so versatile and today I have the chance to share a card with you using one of her new sets called Thinking Of You. I foiled the entire image with a gorgeous teal and silver gradient. It is impossible to photograph it. 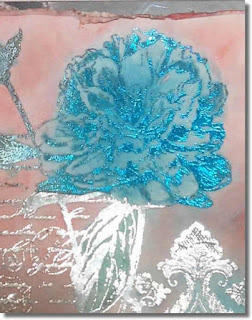 There is a closeup at a weird angle but I caught the foil:-) It is colored totally by sponging with Distress ink. I use a ColorBox Stylus. 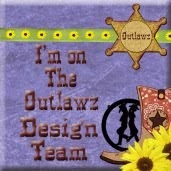 Be sure to check out the other Designers using different gorgeous sets! 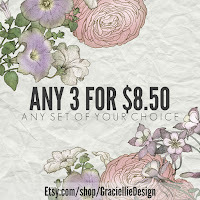 Don't forget to take advantage of the sale and check out Gracie's store for this set and more! 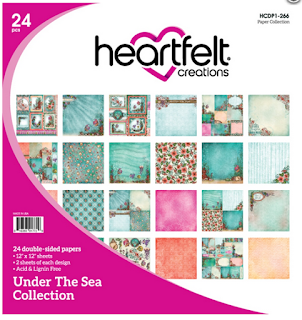 I am a Guest Designer at Cut@Home and I had the privilege to introduce the new Heartfelt Creations Under The Sea Collection and make a quick and easy A2 card. The collection is available for pre-order at Cut@Home so get your order in so you get your hands on the yummy collection as soon as possible! 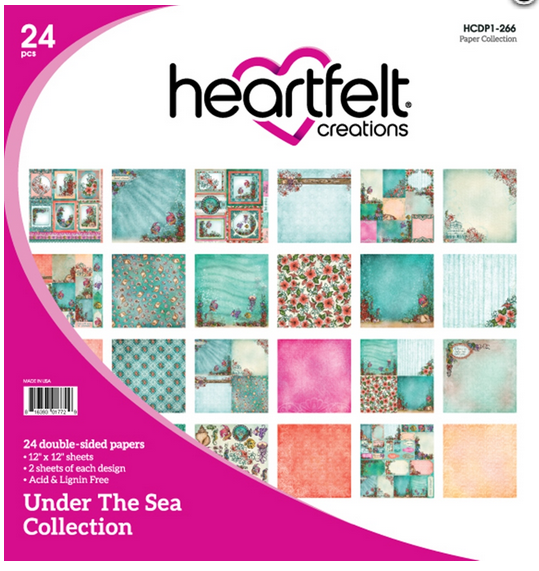 The Under The Sea Paper Collection is absolutely stunning! The colors are tropical and vivid. You get 24 double sided pages, 2 of each design. Included are images you can cut with the matching dies, tags, sentiments and borders you can cut out. Be sure to watch the VIDEO for a close up look. 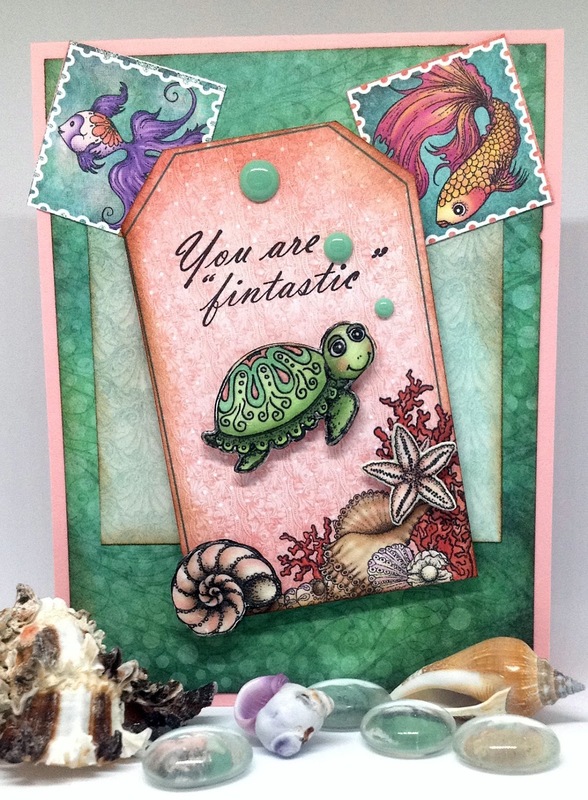 In the Under The Sea Collection there are 4 stamp sets with matching dies and also a sentiment stamp set. 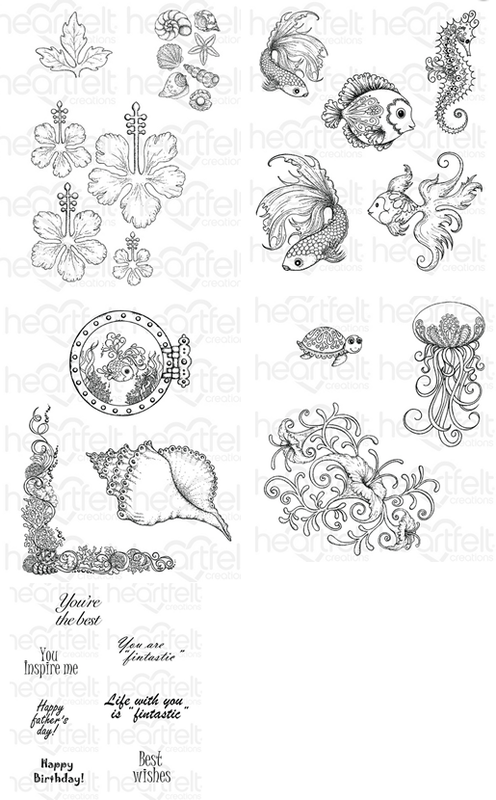 Just look at the whimsical detail in these stamps! 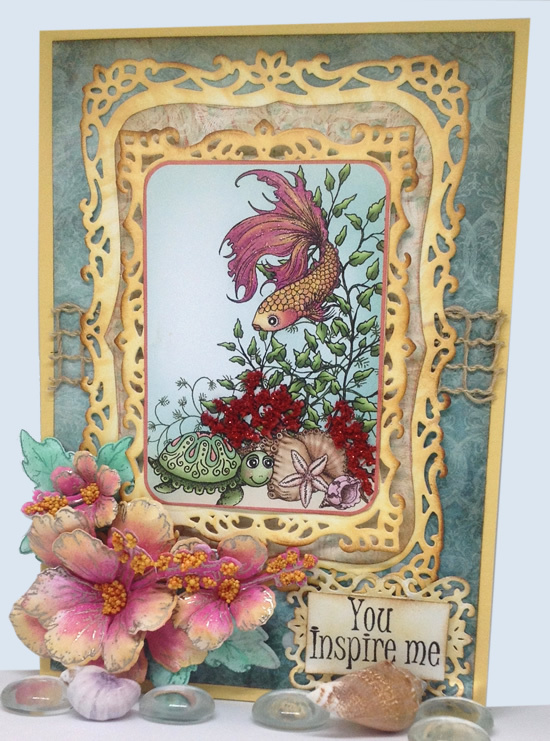 Emma Lou with Heartfelt Creations did a wonderful video on shaping the Hibisus HERE. I'll be using the flowers next week and I can't wait! I cut 4" X 5 1/4" from the green paper with what I call bubbles, the tag and stamps and edged them all with Vintage Photo Distress Ink. 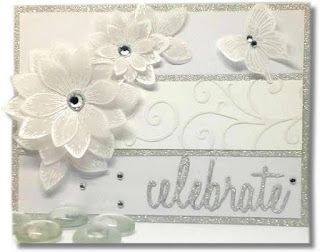 Before adding the embellishments I stamped one of the sentiments from Heartfelt Wishes stamp set on the tag. The tag was placed using pop dots. I added some green enamel dots. 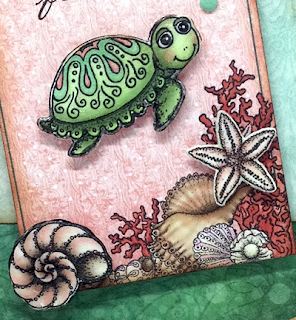 The little turtle and shells were coated with glossy accents and added with pop dots. Glued on the 2 stamps and it was done. The torn edges were done first then I colored the background using Pan Pastels. The flower is pop dotted up and colored with Copics. 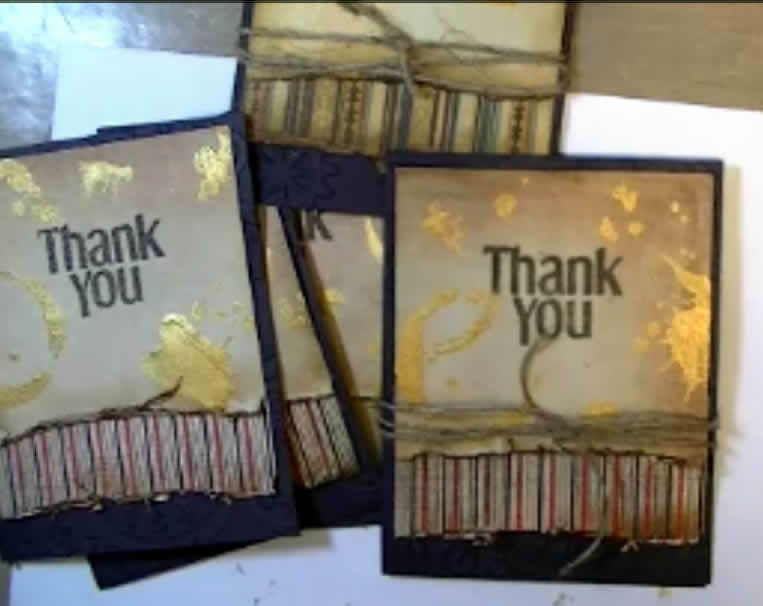 Bits of green and gold foil were added using Heidi Swapp Reactive inc and the Minc. I added gold Prills in the flower center and the butterfly. I glued paper from Heartfelt Creations Mum Paper Pad onto a 5X7 piece of cardboard. 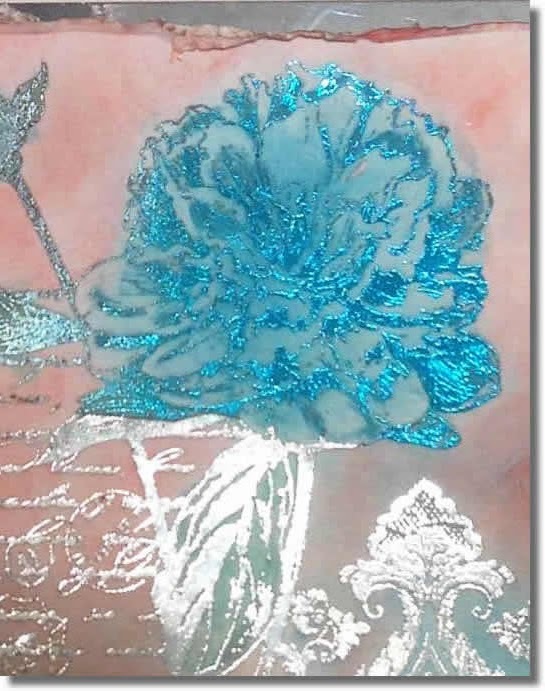 I added gold mesh and white tulle behind the stamped image. 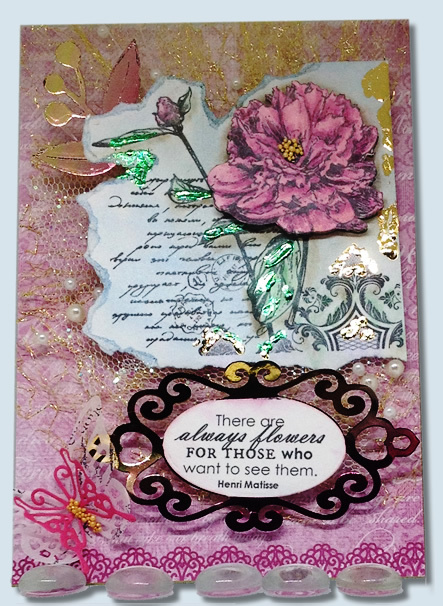 The sentiment frame and leaf were cut from toner paper and foiled with a pretty gold to pink gradient foil. 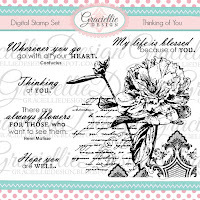 This and other new digital stamp sets can be found HERE for instant download! These digital stamps are ready to print and are perfect for so many kinds of papercrafting projects. 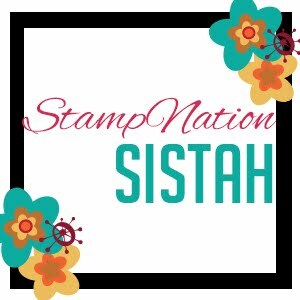 “GIVEAWAY: For a chance to win a new digital stamp set of your choice from Gracie’s shop comment on the blogs listed below. I’m sure their projects will inspire you! 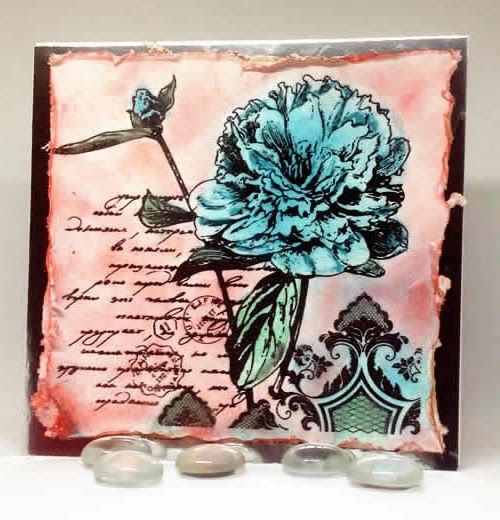 Hope you enjoyed my project today and be sure to visit all the other designers blog for a chance to win. 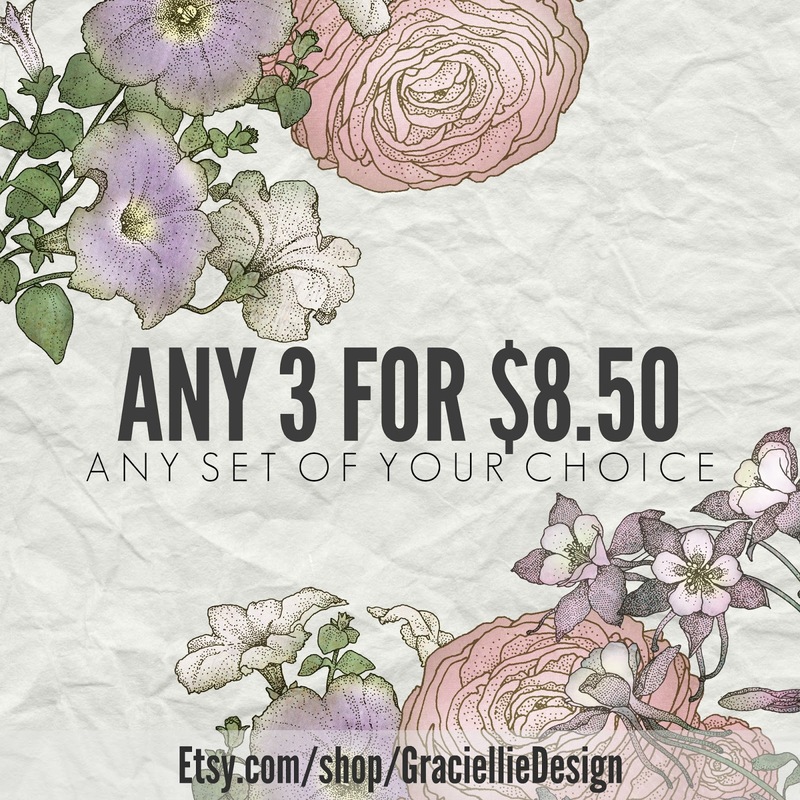 Don't forget to check out Gracie's store for this set and more!